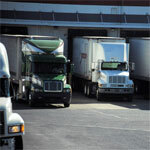 To properly design for the dock door you must plan for the maximum legal truck width, of 8'6"(without permit). 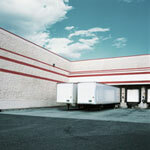 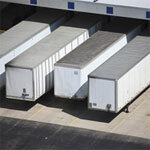 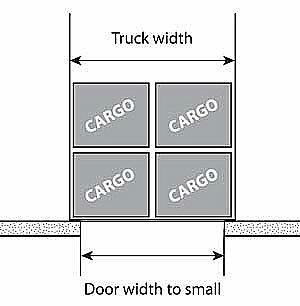 An 8'0" wide dock door may not provide sufficient overall width if the truck has side-by-side pallets to unload/load and if a truck comes in off-center; it may require the truck to reposition, reducing efficiency of the loading dock. 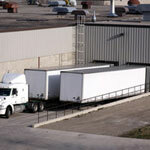 The ideal dock door width is 9'0" wide; it reduces the possibility of door track damage and allows for side-by-side pallets, as well as, slightly off-center truck position at the loading dock. 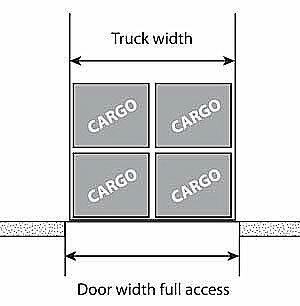 Note: Greater door widths should be consider if wide-load permitted trucks are to be serviced, and at least one door should allow for the greater width, if a future need should require it. 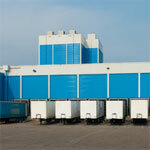 There are three standard door heights that are typically specified, 8'0", 9'0" and 10'0" high doors. 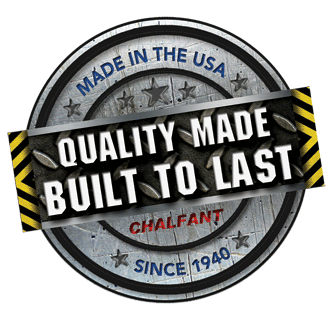 The 8'0" high door can accommodate many single high pallet applications, but does not provide full height access to the maximum trailer height. The 9'0" high door provides improved access to the maximum trailer height and higher load heights are permitted. 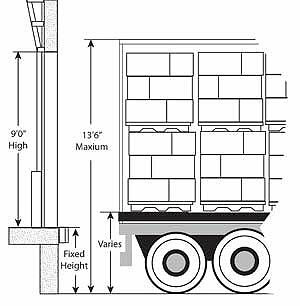 The 10'0" high door height typically provides the best access to the maximum trailer height. However if full access to the back of the truck is required considered the following formula; with the determine the fixed dock height you choose, subtract that height from the maximum trailer height, and round up by the foot, (example: 13'6" maximum trailer height minus 4'0" dock height equals 9'6", consider a 10'0" high door) for full access to the back of the truck. 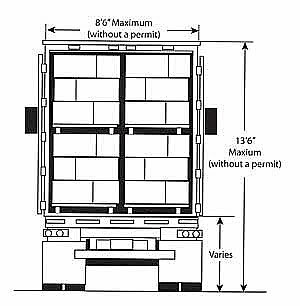 Note: Greater door heights should be consider if special permitted trucks are to be serviced, and at least one door should allow for the greater height, if a future need should require it.